Finding any gift for Dad can be a difficult task, let alone trying to find a great gift. The challenge is to find something that is useful enough to warrant buying, but not so useful that he already bought it himself. Here are a few products that are useful and cool, yet new enough that most people don’t have them yet. If your dad has a flair for the culinary arts, the Pantelligent Frying Pan could score some major points. This smart frying pan can take any determined chef’s performance up a notch. The Pantelligent Frying Pan monitors the surface temperature of the pan and gives out real-time alerts to assist you while cooking. Once you load up a recipe, the app will let you know when to add ingredients, when to flip and when the food is done. Every time you use your oven, you use the thermostat to set an exact temperature. But, temperatures on the cooktop are more of a guessing game. 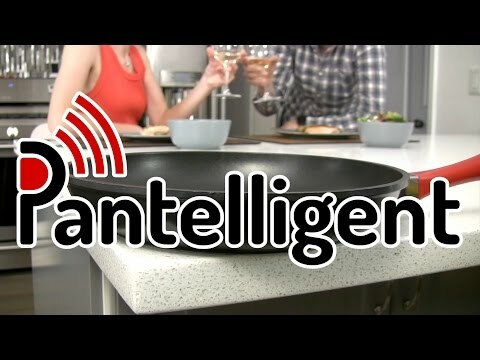 The Pantelligent takes the guessing away by bringing the thermostat feature to the cooktop. This isn’t some paper thin piece of junk outfitted with a few temperature sensors either. It is made of solid die-cast aluminum and has the feel of a nice heavy pan that will conduct heat evenly and help you keep the surface temperature constant. Pantelligent is just getting started, but they already have some critical acclaim. TIME Magazine put it in their 25 Best Inventions of 2015 and Popular Science put it in their top 10. To take a closer look or check the price on Amazon click here. A great product to introduce Dad to the world of smart things is the Ring Wi-Fi Enabled Video Doorbell. Day or night, the Ring allows you to remotely observe and talk to visitors that come knocking at your door. You don’t even have to be home to use the Ring. You just need a smartphone and the $3 monthly subscription to the Ring cloud service. The Ring is more than just a door answering assistant. It is also designed with security in mind. It includes motion sensors that when triggered will send an alert to your smartphone. Video cameras are also triggered by the motion sensors as well as ringing the doorbell. The video is recorded and saved to the cloud for later reference. The Ring Wi-Fi Enabled Video Doorbell can be purchased in four different popular finishes that match most of the popular door hardware finishes. Another great candidate for “Dad’s first smart device” is the Chamberlain MYQ-G0201 garage door controller. Garages tend to be the realm of dads and this product is just weird enough that he probably doesn’t have one yet, so this could be a perfect fit. The Chamberlain MyQ Garage App is free and gives you full control over your Chamberlain garage door controller from anywhere you can get a signal for your smartphone. You can use the app to open, close, or check the status of your garage door. 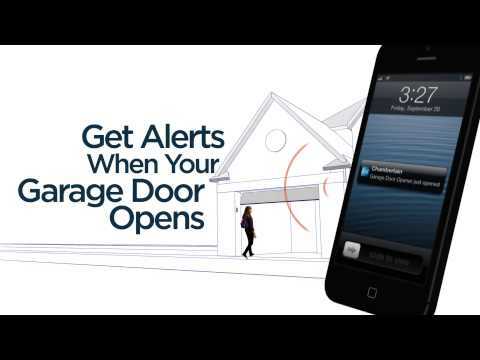 You can also choose to receive notifications if your garage door opens or closes. Chamberlain MyQ is a Works With Nest product so it will integrate seamlessly with other Works With Nest products. This makes the Chamberlain garage door controller a great place to start if you wish to eventually expand your home automation network using the Works With Nest product family. Give your dad the gift of time and get him a Tile Bluetooth Tracker. The average person spends 10 minutes a day looking for lost or misplaced items. Two items that people are constantly looking for are their keys and their phone. The Tile Bluetooth Tracker will help you to never waste time looking for either again. The Tile Bluetooth Tracker is a small square shaped tile that includes a Bluetooth sensor and a 90 dB alarm. It can easily attach to a keychain or anything else that you don’t want to lose. 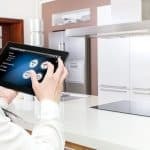 As long as the Tile is within the 100-foot Bluetooth range, you can use the mobile phone app to trigger a loud alarm on the Tile until you find it. What’s even better is that the alarm system can work both ways. If you have the Tile and lose your phone, you can press the button on the Tile. As long as it’s within range, it will set off the ringer on your phone even if your phone was set to silent. What happens if the item you are looking for is out of range of the Tile? Then, you can tap into the entire network of Tile users and if anyone using the app happens to pick up a signal from your Tile, you get a notification showing the last known location of your Tile. It is completely private so only you know that you’ve lost something. Help Dad to shake the morning grogginess with something other than coffee. The Philips Morning Wake-Up Light simulates the sunrise and wakes you up slowly with gradually increasing light and sound. Dad can choose from five different pleasant wake-up sounds while the 20 different brightness settings slowly increase starting 20 to 40 minutes before his set wake-up time. Studies have shown that people waking up with the Philips Morning Wake-Up Light wake up with more energy and are in a better mood. It may not be the best for the serial snoozer though because this makes it really easy to keep snoozing. All it takes is a quick tap of the large light surface to set the alarm into snooze mode for another 9 minutes. But wait, there’s more! It also functions as a reverse alarm clock. Instead of waking you up in the morning, it can also put you to sleep at night. As you lie in bed, the light and calming sounds will slowly fade out as you drift off to sleep. Yawwnn…I’m getting a little sleepy just writing about it. The Ecobee3 Smart Thermostat should be on any tech-savvy dad’s want list. 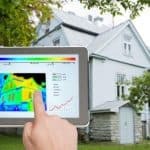 The Ecobee3 can help anyone save money on their monthly energy bill as well as increase comfort and convenience in the home. The Ecobee3 uses remote sensors placed throughout the home to make sure the rooms you are using are at the temperature you desire for maximum comfort. Then, when you are gone the thermostat will switch into energy saving mode to save you money. 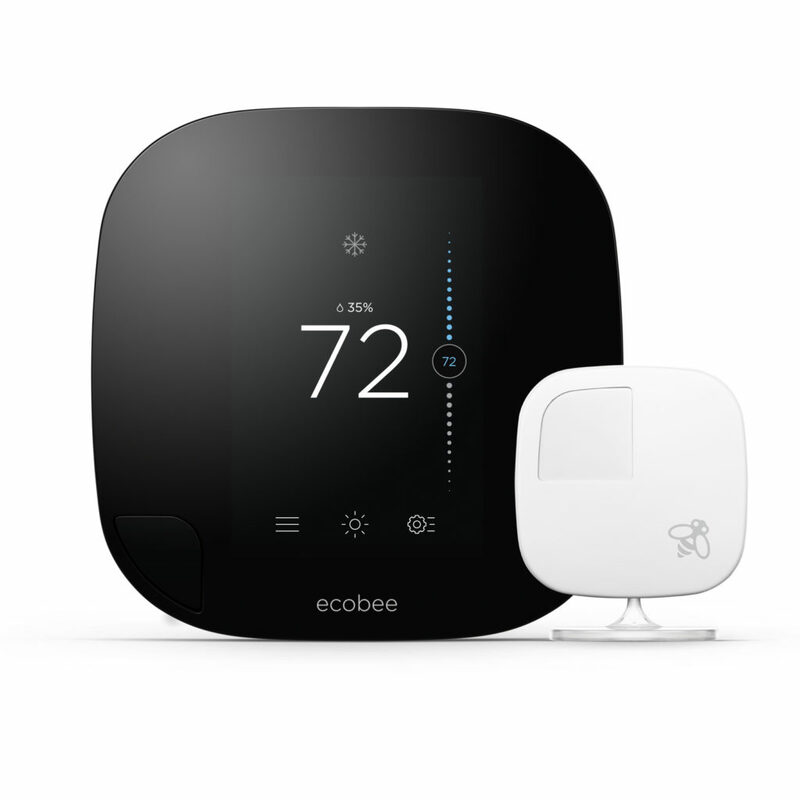 The Ecobee3 offers users the ability to control all their heating cooling and ventilation from anywhere in the world with their smartphone. Even better, once your schedule is set up, it should require only minimal control, if any. The heat will automatically adjust when you are home or away and awake or asleep. It really is quite smart. I Hope You Found This Useful And Good luck shopping!